First impressions mean more than you might think. A new American study has confirmed that appearance is everything and that those with straighter teeth are perceived as cleverer and more successful. It sounds unbelievable, but the survey really did back up the idea that people negatively judge people with an imperfect smile. In fact, more than half of participants believed that crooked teeth could be the deciding factor between two job applicants with similar skill sets and experience. It is sad to say that these snap judgements take place each and every day – most of us don’t even realise we are doing it. The study was carried out by US research company Kelton. The results suggest that something as simple as teeth alignment can have an impact on assumptions made regarding an individual’s intelligence, popularity and success, as well as their general health. So a healthy smile is important for all aspects of daily life, whether you are networking, attending a job interview or simply socialising. The study found that the majority of people find teeth one of the most noticeable and memorable features when they meet someone for the first time. Given the importance placed on having clean, straight teeth, scientists have been working hard to devise modern methods to ensure both adults and children can have their teeth straightened with the minimum of fuss and effort. 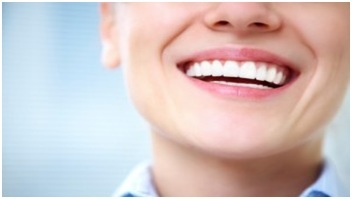 Today it is possible to have the necessary dental treatment without anyone even guessing they are having it. Invisalign and other Invisble braces, such as those offered at Dockland dental Dublin dentist, are unobtrusive and straighten teeth more comfortably than ever before. The link between good oral health and a healthy heart has long been recognised, and the British Dental Association also recognises the beneficial psychological value of having treatment to correct misaligned teeth. But take care to time it exactly right. A nice smile is useful when carrying out important negotiations. However, timing is everything, according to another study conducted by associates at the University of Southern California’s Marshall School of Business, USC Institute for Creative Technologies (ICT) and the Dornsife College of Letters, Arts and Sciences. The Professor of Management and Organisation at the Southern University of California, Peter Carnevale, who took an active role in the study, warns that while a wide smile in some circumstances can be the key to success, when delivered at the wrong time it could reduce the level of cooperation from the other parties involved. For example, grinning at the end of negotiations may lead to the other party feeling you have done better out of the agreement than they have. It has also been found that women who smile too much during important business meetings can be taken less seriously than those who keep a straight face. Meanwhile, Iran’s foreign minister, Mohammad Javad Zarif, has been ordered to smile more and shout less during the important discussions between Iran and the West aimed at bringing to an end the 12 years of nuclear disputes. So a balanced approach somewhere in between seems the most sensible option.